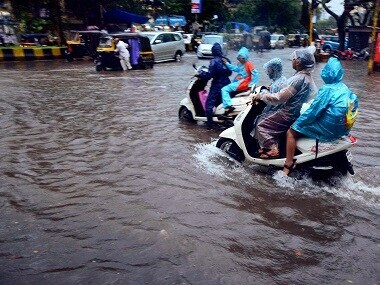 Mumbai: Torrential rain battered Mumbai and its suburbs for the second day on Wednesday, causing massive disruption in flight operations, delaying suburban train services and forcing a large number of people to stay indoors officials said. However, no deaths or major damage to property wer reported. Schools and colleges in Mumbai metropolitan region wer ordered closed in view of heavy rains. "Several parts of the metropolis, including South Mumbai, Borivali, Kandivili, Andheri and Bhandup, receive heavy rainfall. However, no untoward incident has bee reported so far from any part of the city," an official of th BMC, the city's civic body, said. Air services at the Mumbai airport were hit badly, with 108 flights cancelled and another 51 diverted to nearby airports till Wednesday morning due to heavy rain and closure on the main runway after a SpiceJet aircraft skidded, overshooting the runway and got stuck in the mud, blocking it, an airport official said. Efforts are on to tow the aircraft away and clear the runway for operations. The NOTAM (notice to airmen) period has been further extended to 6 pm, which means that flight operations cannot b take place till that time, the official said. The Mumbai airport, the country's second busiest after Delhi's IGI airport, handles 930 flights per day. An average of 48 aircraft land or take off every hour. The city's famed suburban railway system, which caters to about 70 lakh passengers every day, was also in a mess, with trains running late. Traffic on the low-lying harbour line was suspended for a brief period early on Wednesday but resumed. Fewer people were seen travelling by trains as the preferred to remain indoors following the forecast about the downpour. 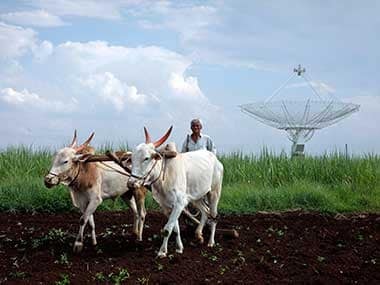 An IMD official said that the Santacruz observatory recorded 225.3 mm rain from 8.30 am to 11.30 pm Tuesday night. Anything about 204.5 mm is categorised as 'extremely heavy rain', he said. 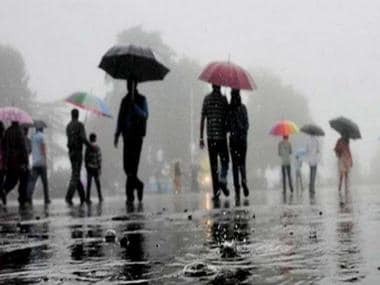 IMD, which had predicted forecast as heavy to very heavy rainfall in parts of Mumbai region for Wednesday, in its forecast issued and said the city would receive intermittent rains. It said there would be heavy rainfall in a couple of places in the city. 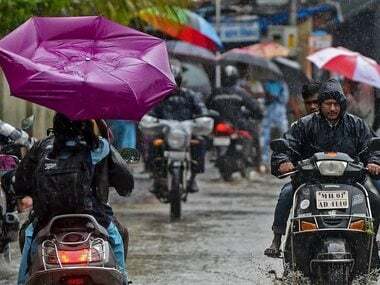 From 8.30 am on Tuesday to 5.30 am on Wednesday, the Colaba observatory recorded 210 mm rain, while the Santacruz observatory recorded 303.7 mm rain in the period, according to the IMD. The Mumbai Police had earlier warned of a high tide a 12.03 pm and 6.04 pm on Wednesday. However, the effect of water-logging due to high tide got over by the afternoon and water slowly started receding in many areas, getting drained into the Arabian Sea, disaster management cell officials said. 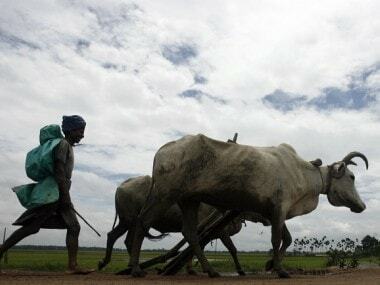 Fishermen have been warned against venturing into the deep sea following forecast of more rain, an IMD official said. Central Railway's chief spokesperson Sunil Udasi said a few short destination trains had to be cancelled on Tuesday night to streamline the services. "Since 10 pm on Tuesday, our services on the main an the harbour lines are running at regular intervals with less frequency and restricted speed in waterlogging prone areas. 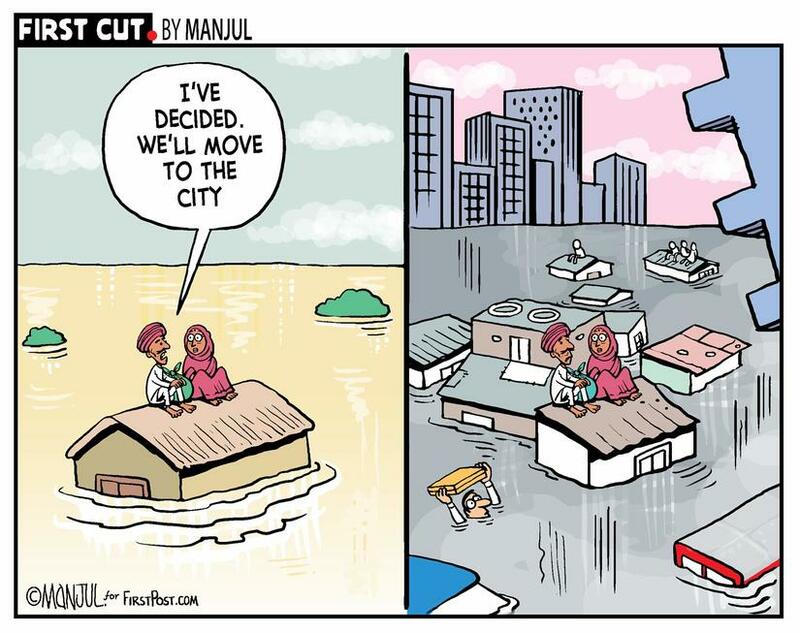 Our field staff and supervisors have been deployed to keep a tab on the water level," Udasi said. Senior railway officers were keeping a watch on th situation and Railway Protection Force (RPF) personnel rope in to manage crowds at the stations, he said. Some intercity trains like Manmad-Mumbai Express Gujarat Express, Saurashtra Express, Bandra-Terminus Sura Intercity Express and Mumbai Central-Ahmedabad Shatabdi Express have been cancelled, officials of the Central an Western Railways said. Vehicular traffic was moving but at a slower pace including on the Eastern and Western Express Highway, the two major arterial roads in the metropolis. The 'dabbawalas' of Mumbai, famous for the precision with which they deliver over two lakh tiffin boxes to office goers, suspended their operations on Wednesday as suburban railway services were in disarray. Click here to For LIVE updates on this story.